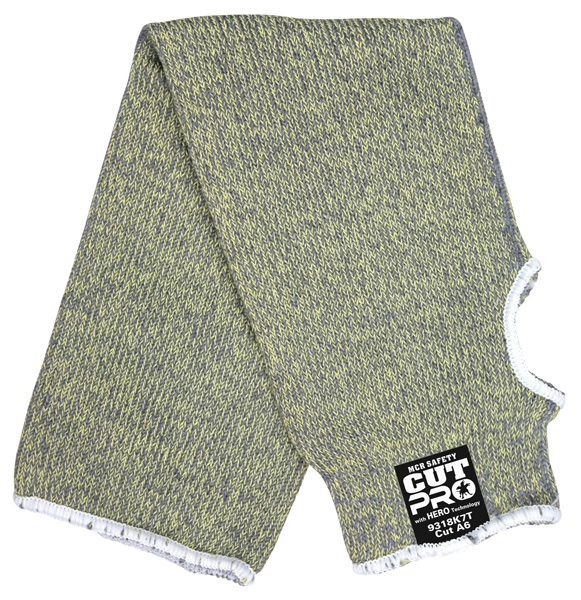 This Cut Pro™ sleeve with Hero™ Technology is made of a high performance cut resistant material that achieves high levels of cut and comfort. The blended Kevlar®, stainless steel, and other fibers are used for general purpose work applications to provide cut and abrasion resistance when working with sharp objects. The 9318K7T is an 18 inch sleeve with thumbslot that will offer your arms protection in those tough environments.